Microsoft team launched Office 365 FastTrack Onboarding center last year September 2014 to assist customers to migrate to Office 365 with free support and now after assisting vast group of customers, Microsoft team announced the evolution of FastTrack from an onboarding service to our customer success service designed to help customers to realize business value faster with the Microsoft Cloud. 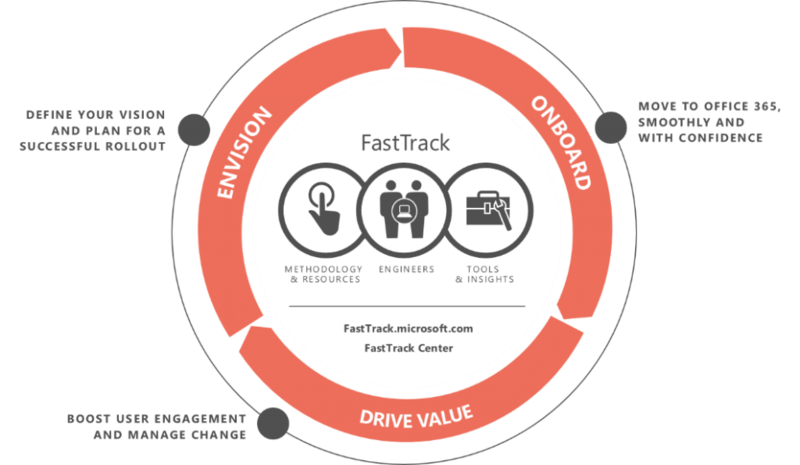 Microsoft team made FastTrack from a one-time benefit to an ongoing benefit. This enables customers to request support in onboarding new users and capabilities at any time, and as many times as needed, for the life of the subscription. Most significant announcement is the support for new products as addition. In addition, we are expanding FastTrack to now offer customized support and resources across envisioning, onboarding and driving business value. This builds on our announcement earlier this year around the addition of new products to the FastTrack onboarding services, including the Enterprise Mobility Suite (EMS), Azure Active Directory Premium, Intune and Azure Rights Management. To know more read the FAQ section and if you are planning for an Office 365 migration then this new benefit will add more value to your road-map. Join the YamJam on Tuesday, October 13 from 9–10 a.m. PDT on the Office 365 Network to get your queries answered. Hope this key announcement will make most of the Organizations delightful and enhance the adoption rate. Access FastTrack Center Benefit Overview for more updates.